On 23.07.2015. LSG Building Solutions d.o.o. were also awarded certificates for systems EN ISO 14001: 2004 and BS OHSAS 18001: 2007. 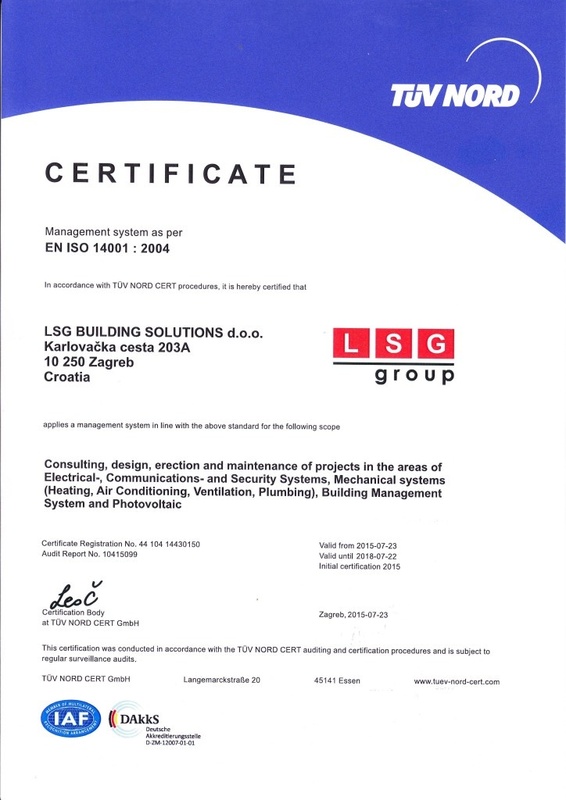 Certificates relating to operating activities: consulting, design, construction and maintenance projects in the field of electrical installation, communication and security systems, HVAC systems (heating, cooling, ventilation, water supply and sewage), building management systems and photovoltaic systems. 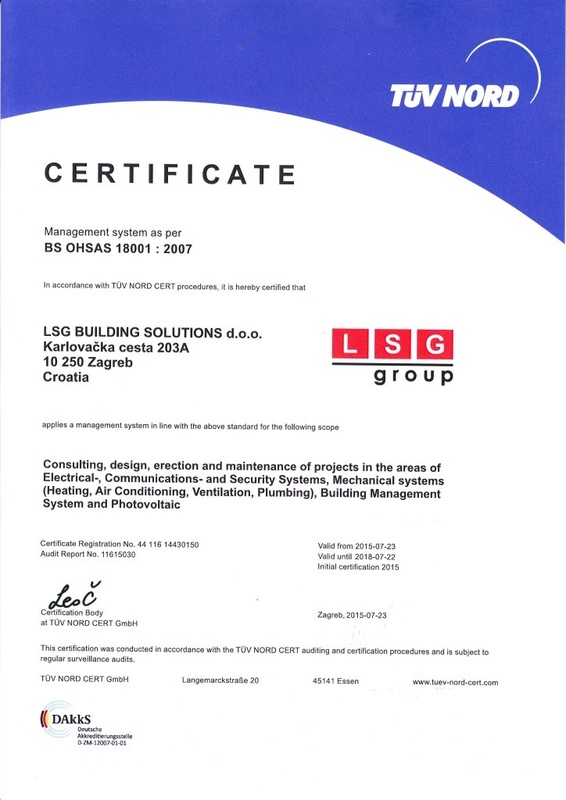 Certification of the two systems, in accordance with the procedures, conducted by TÜV CROATIA d.o.o. authorized representative of TÜV NORD CERT company.